The American Short Line and Regional Railroad Association (ASLRRA) annual meeting April 9-10 gave the Louisville & Indiana Railroad reason to celebrate, as the railroad was honored with three awards. The railroad’s transportation director, Jeremy Kramer, was recognized as the 2018 Safety Person of the Year. 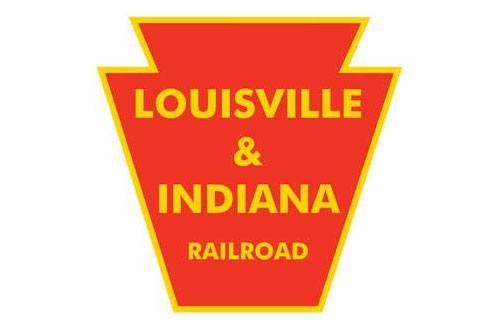 The association’s 2018 Marketing Award also went to Louisville & Indiana Railroad for its efforts to expand rail service to an Indiana National Guard training facility in central Indiana. The railroad was also the recipient of ASLRRA’s annual Timmons Award in recognition of its commitment to hiring military veterans. 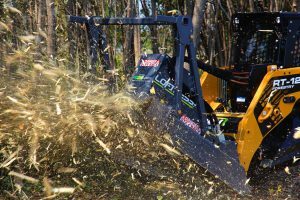 The awards were announced at the ASLRRA’s 2018 Connections Convention earlier this week in Nashville, Tenn.
Kramer joined the railroad four years ago, and officials said he has continued to expanded his areas of responsibility at the railroad. He has previously held management positions with Canadian National. Kramer joined the U.S. Army Reserve in 2004 and worked closely with the U.S. Department of State and Federal Railroad Administration during the creation of the Afghan Railroad Administration, officials noted. Among his safety-related accomplishments are his work on the Operation Lifesaver highway-rail crossing program, the Officer on the Train program with law enforcement, outreach to members of online communities and veterans, as well as extensive hazardous materials training for emergency responders. The ASLRRA Marketing Award recognizes the railroad’s collaboration with the Indiana National Guard to increase its ability to transport military equipment on railroad flatcars from its newly-expanded installation at Camp Atterbury. The site serves a large-scale U.S. Army training facility in central Indiana. 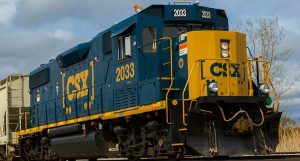 The Indiana National Guard initially approached the railroad about partnering on a new nine-track rail loading facility. 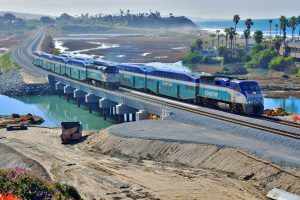 The necessary design, construction and rail operations planning work took place throughout a five-year period, officials said. The railroad also received the ASLRRA’s Timmons Award for the second consecutive year. The award honors the efforts of ASLRRA members to recruit U.S. military veterans. 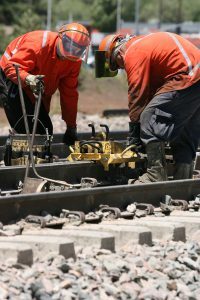 In 2017, Louisville & Indiana Railroad employed the highest percentage of veterans—29.6 percent—and the highest percentage of veteran new hires—30.0 percent—among all ASLRRA member railroads, officials said. Veteran initiatives at the railroad include lapel pins for new hires with military service, applying large logos on two of its locomotives to commemorate veterans and donating funds to Kentucky Indiana Paralyzed Veterans for materials to construct a new deck at the organization’s center in Jeffersonville, Ind.